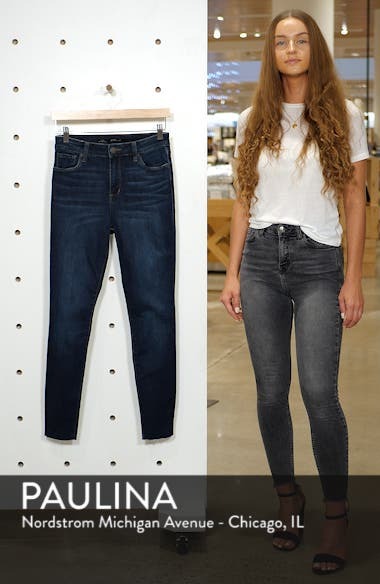 Ever-so-subtle whiskering and fading add cool dimension to stretch-denim skinnies cut with raw ankle-length hems. Choose a sizeTrue to size. 24=00, 25=0, 26=2, 27=4, 28=6, 29=8, 30=10, 31=12, 32=14, 33=16 (14W), 34=18 (16W).